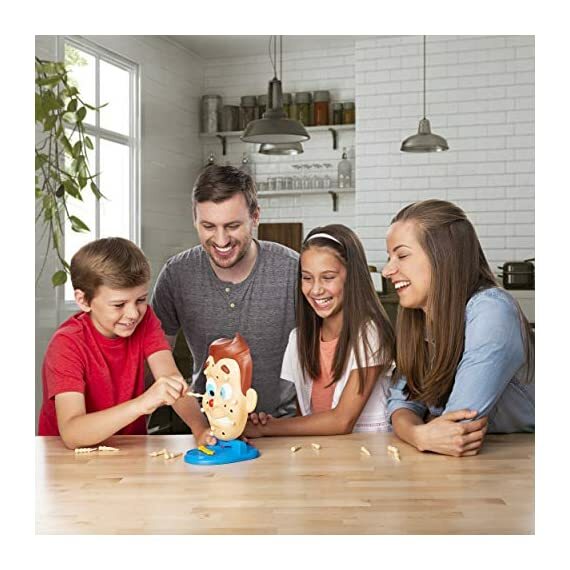 FUN AND FUNNY FAMILY GAME: Pimple Pete is a silly and exciting family game for 2-4 players. 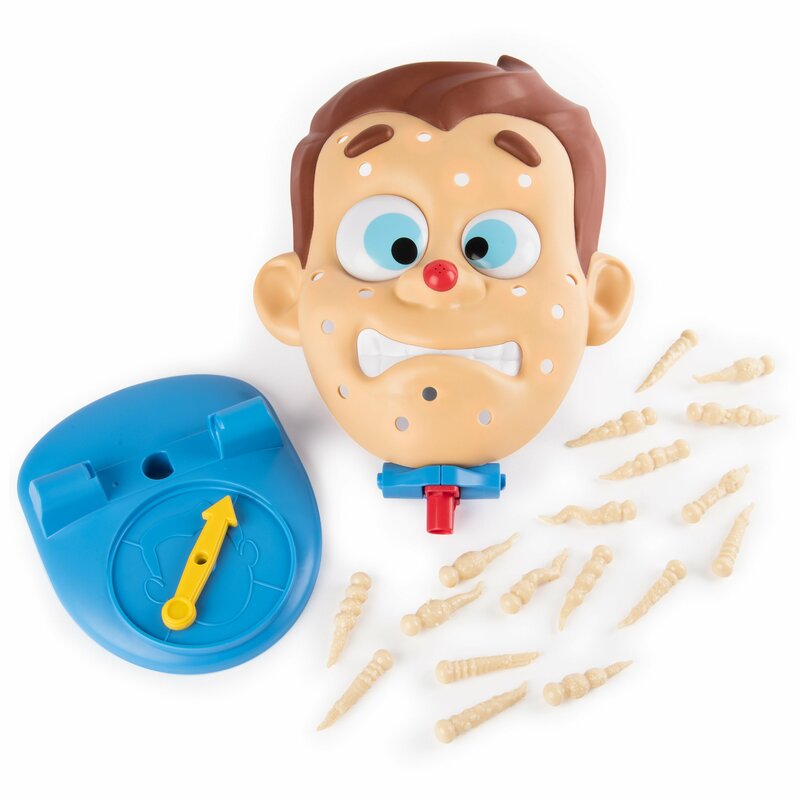 Play one on one and take turns “popping” pimples. 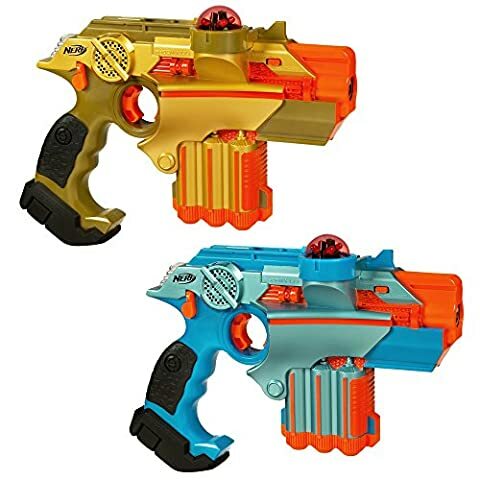 The player who bursts the Mega-Zit is eliminated and the other player is the winner. 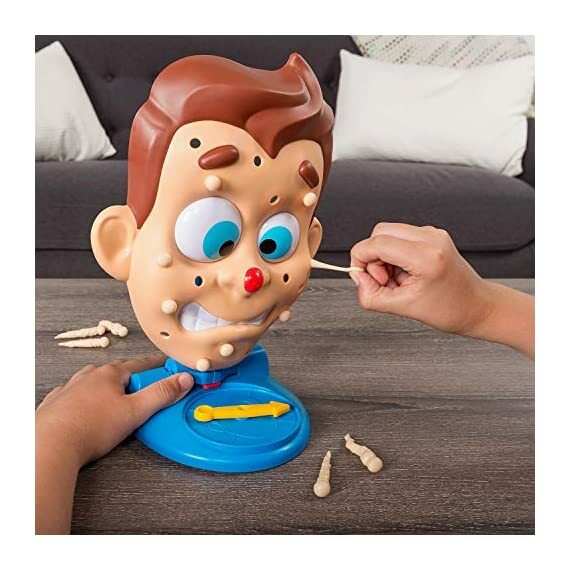 Add more players for a pimple-popping competition. 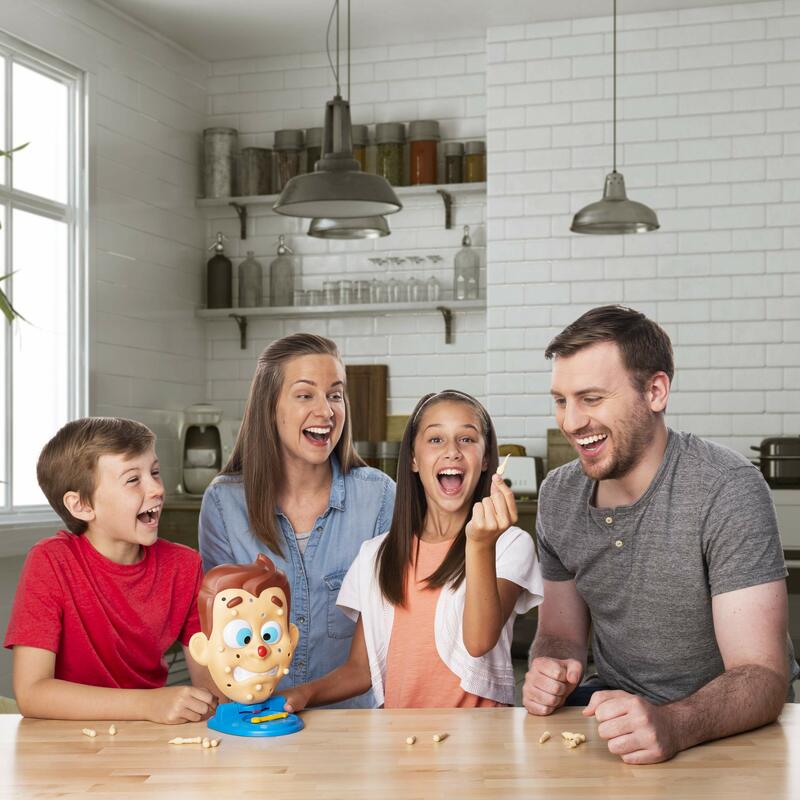 Earn points for each pimple you “pop” without exploding the Mega-Zit. 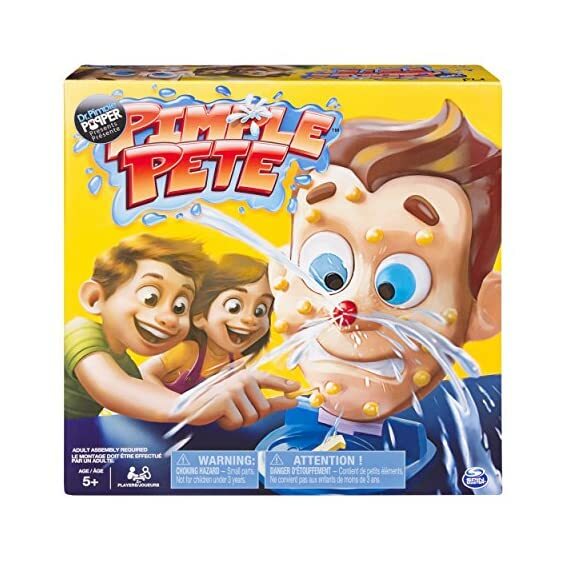 The player with the most points is the Pimple Pete champion! 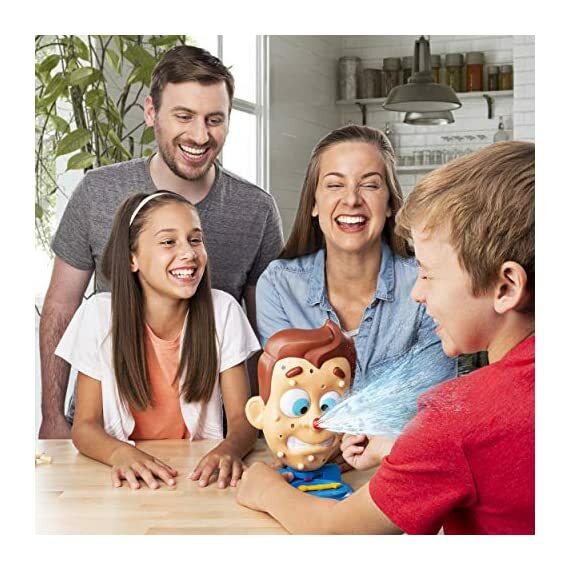 EXPLODING MEGA-ZIT: First, load all the squishy pimples into Pimple Pete's face, then fill the Mega-Zit Plunger with water. 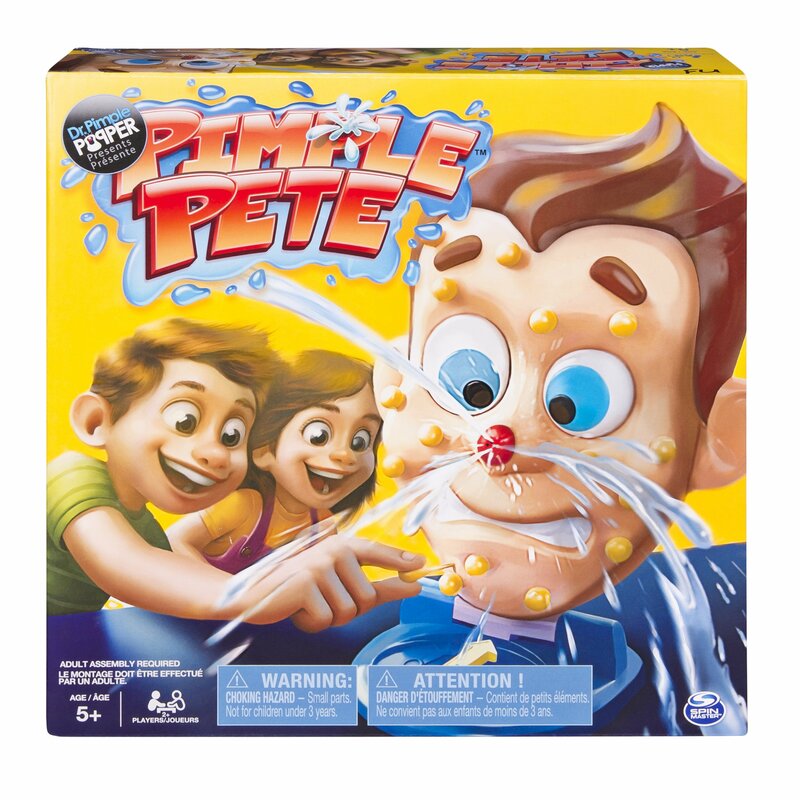 How carefully can you wiggle out and “pop” each fleshy pimple without upsetting Pimple Pete. 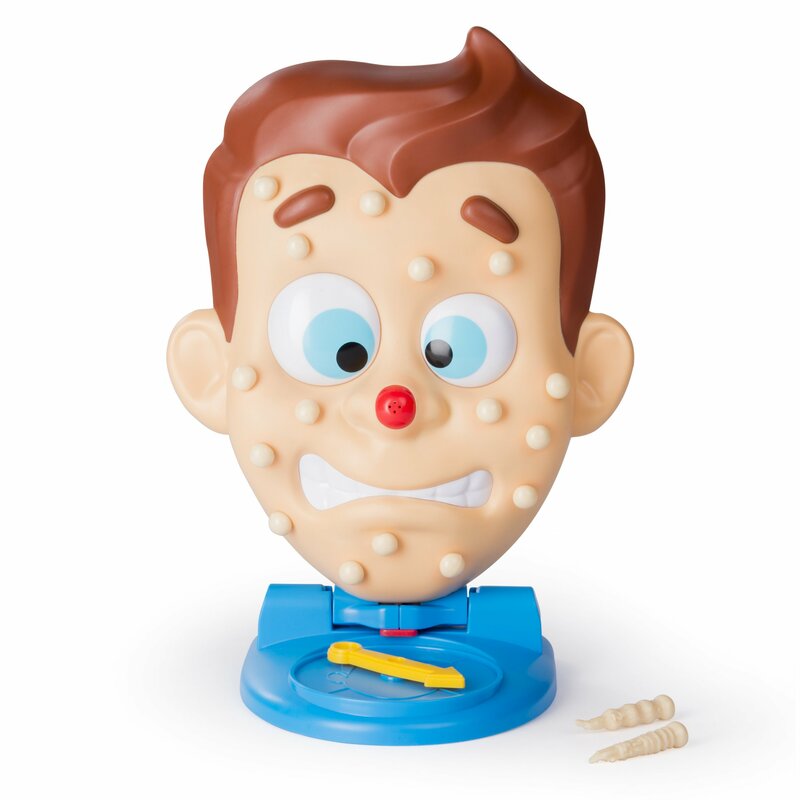 Some pimples are easy to pull out and others will take extra careful twisting and maneuvering. 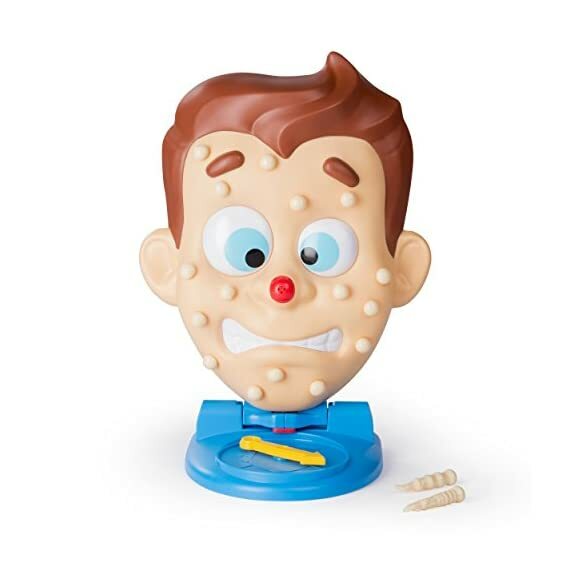 If you pull any pimple too hard, you risk setting off the Mega-Zit on his nose – and the pimple juice will spray your way! 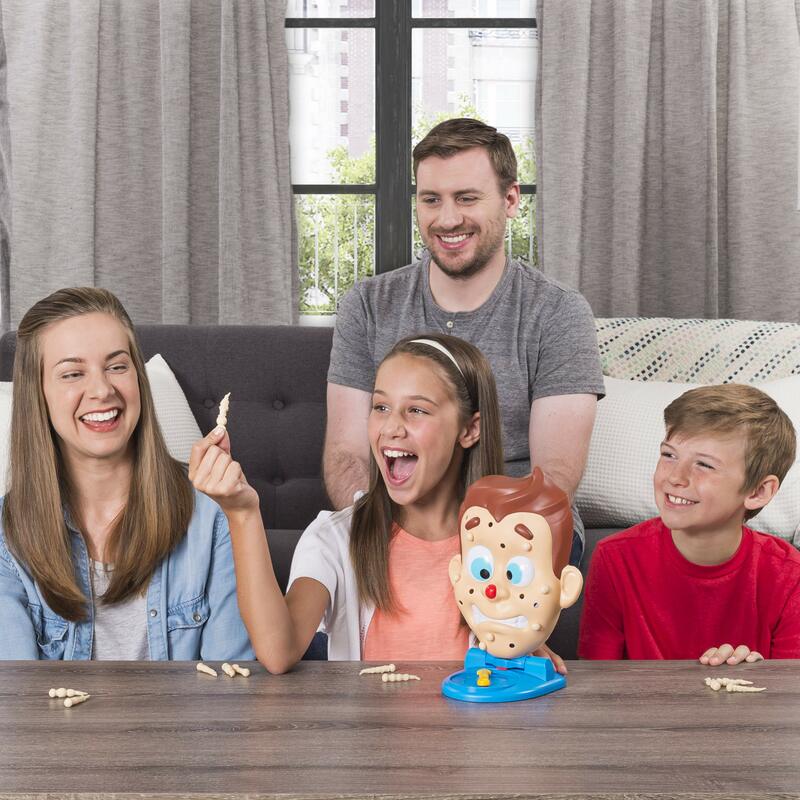 Combining a little yuck factor with a lot of fun factor, Pimple Pete is the pressure-packed, pimple popping game perfect for some gross-out fun on family game night! 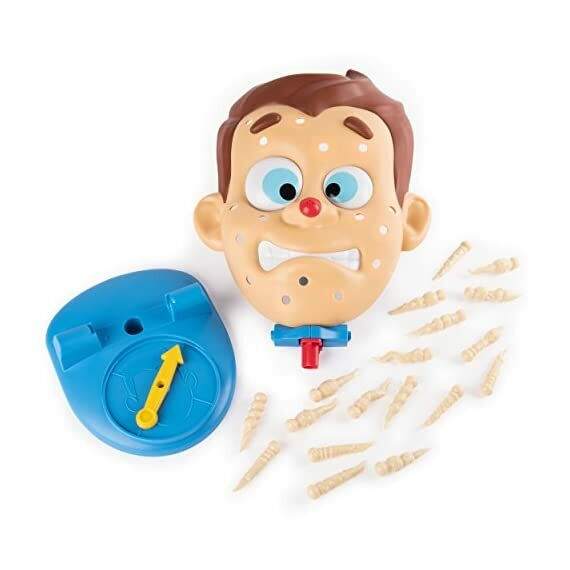 Pimple Petes face is covered with pimples and he needs your help popping them. Theres so, so many pimples which one should you pop? 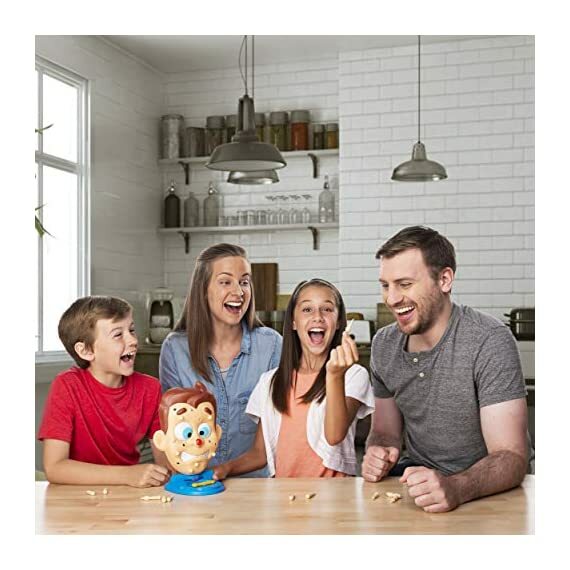 Turn the spinner and the arrow will land on his forehead, left cheek, right cheek or chin. 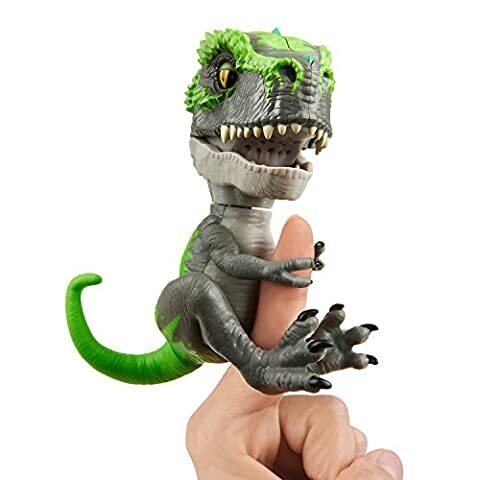 Choose a squishy pimple from that area and ever so carefully twist and wiggle the pimple out. Earn 1, 2 or 3 points for every pimple you extract depending on the level of difficulty. 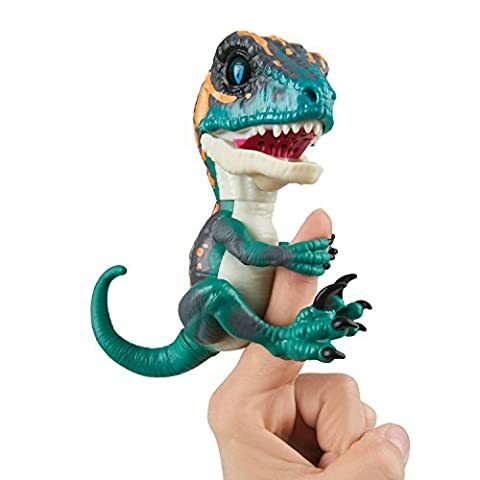 Dont yank too hard or you might set off the Mega-Zit filled with water on his nose. 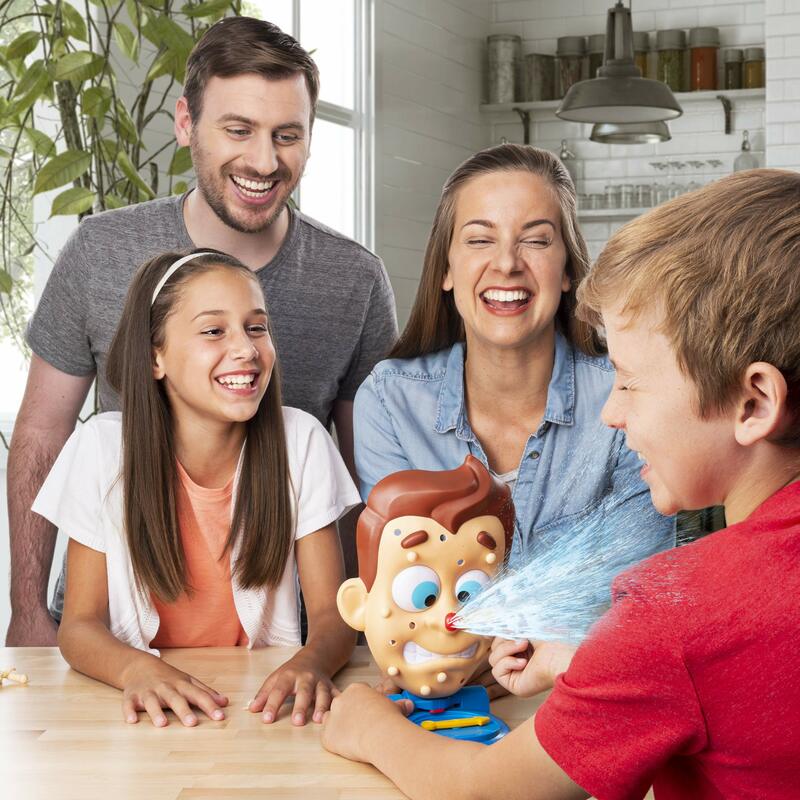 Turn after turn the anticipation and nervous giggles increase as players wait to see who might be squirted with a surprise burst of pimple juice! 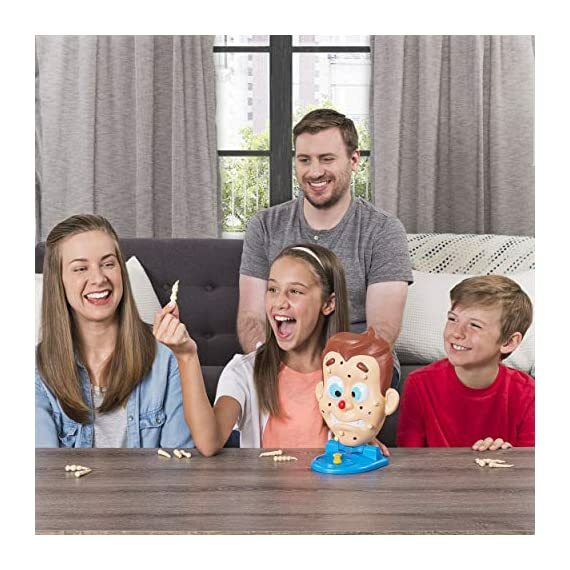 Pimple Pete is twice the fun with two ways to play. 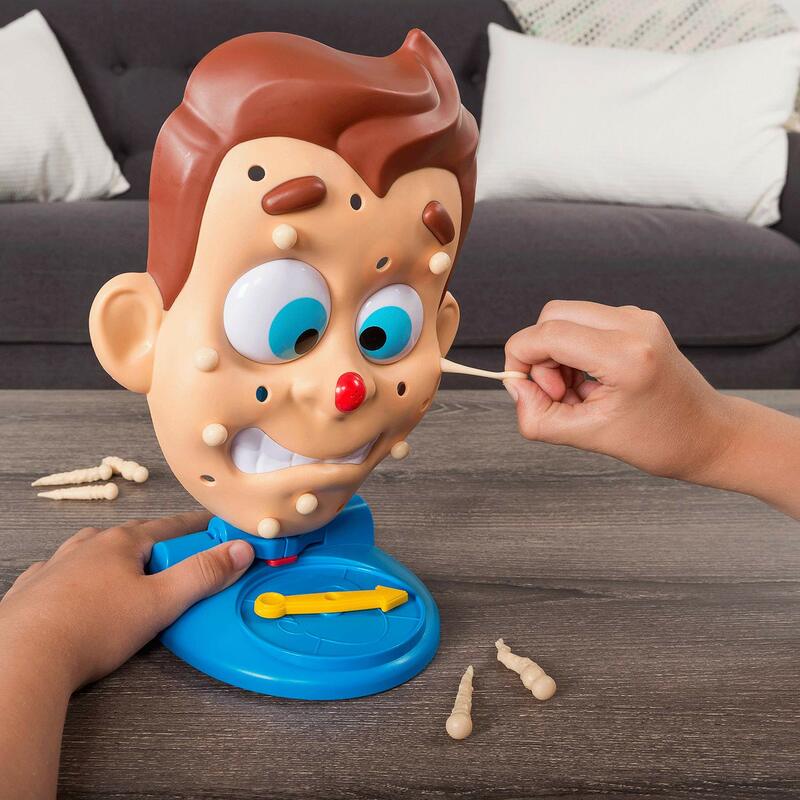 Win the game by earning the most points for popping pimples, or just pop pimples without bursting the Mega-Zit to reign as pimple popping champion. 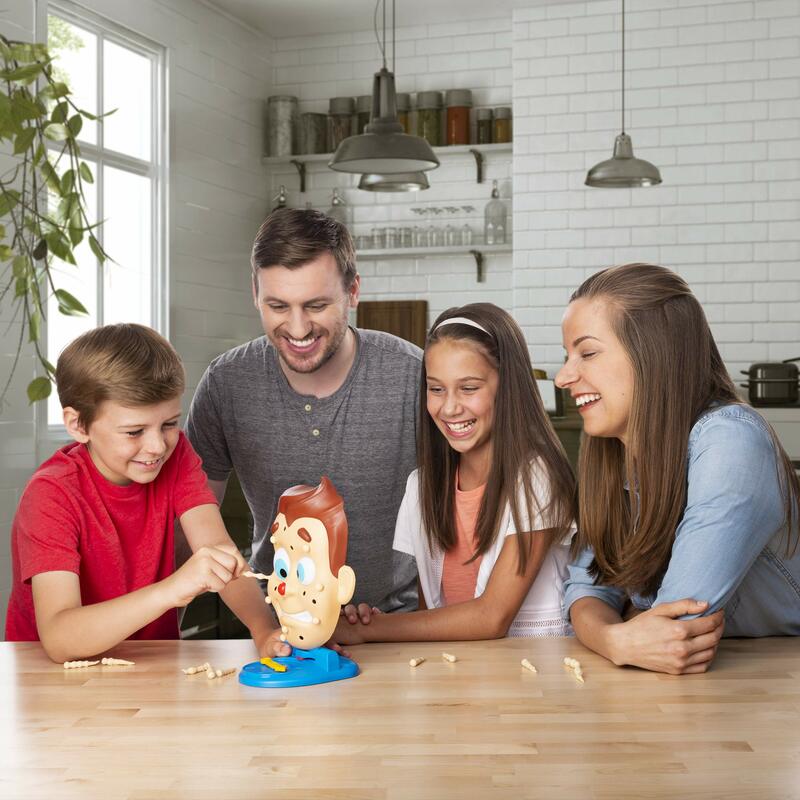 Whichever way you play, break out Pimple Pete for your next game night!